Tactical Squads are the backbone of any Space Marine army. 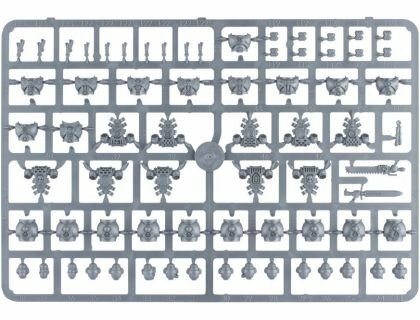 They hold ground; provide fire support and charge into bloody melees, as the ever-changing theatre of war dictates. 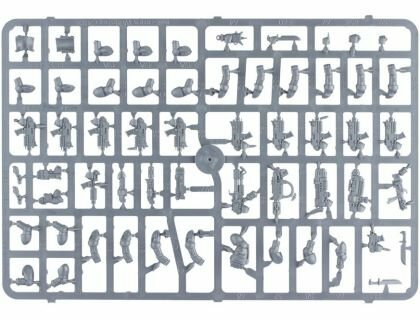 This box contains everything you need to make a highly personalised 10 man Tactical Squad, including Sergeant and Special Weapon. 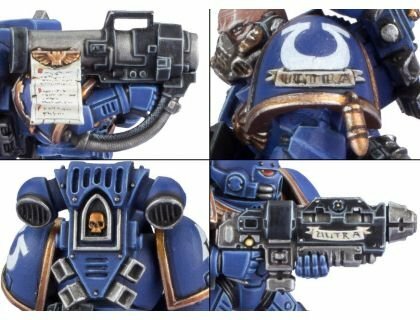 There are so many options and extra details provided that we recommend that you take some time to look through the photos above to fully appreciate them all. 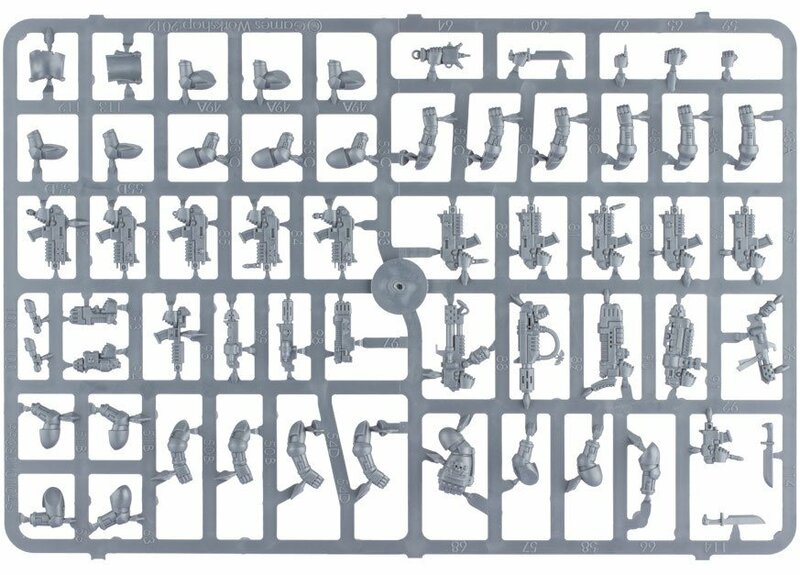 There are 10 unique boltguns, a gravgun, a meltagun, a plasma gun, a flamer, a missile launcher (including backpack and spare missiles). 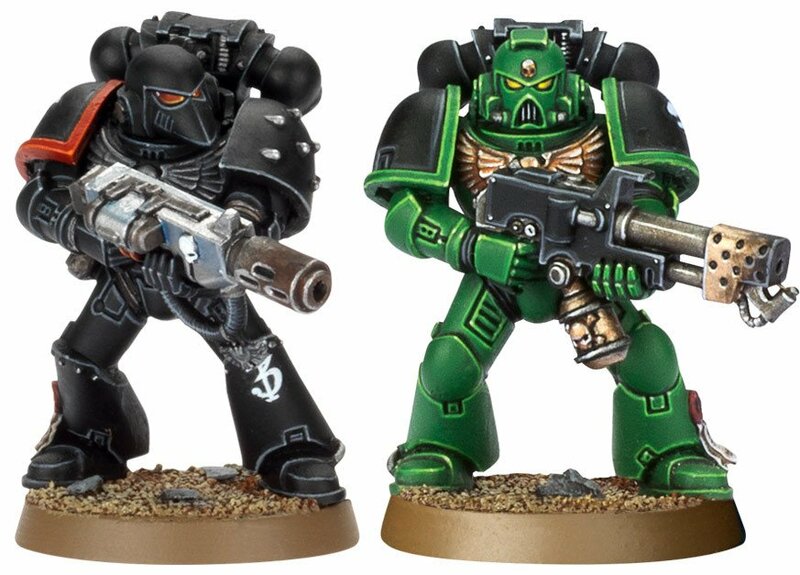 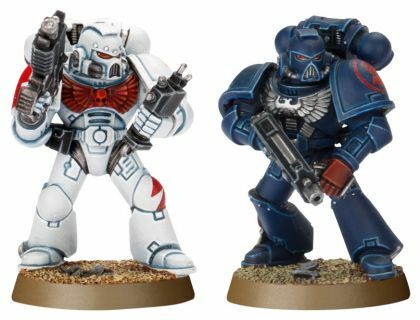 The squad Sergeant can be armed with a combination of power fist, power sword or chainsword, and plasma pistol, grav pistol or bolt pistol. 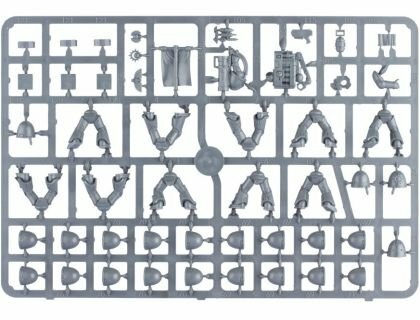 You can also make any 1 of the following combi-bolters - combi-grav, combi-melta, combi-plasma, or combi-flamer. 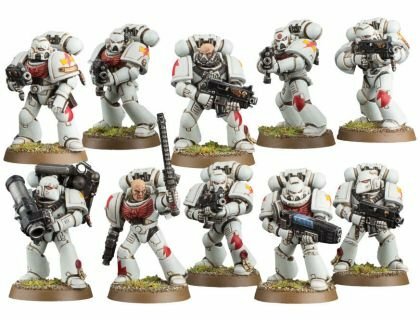 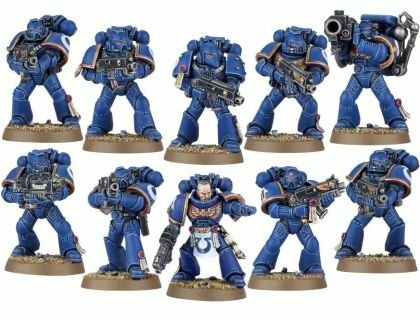 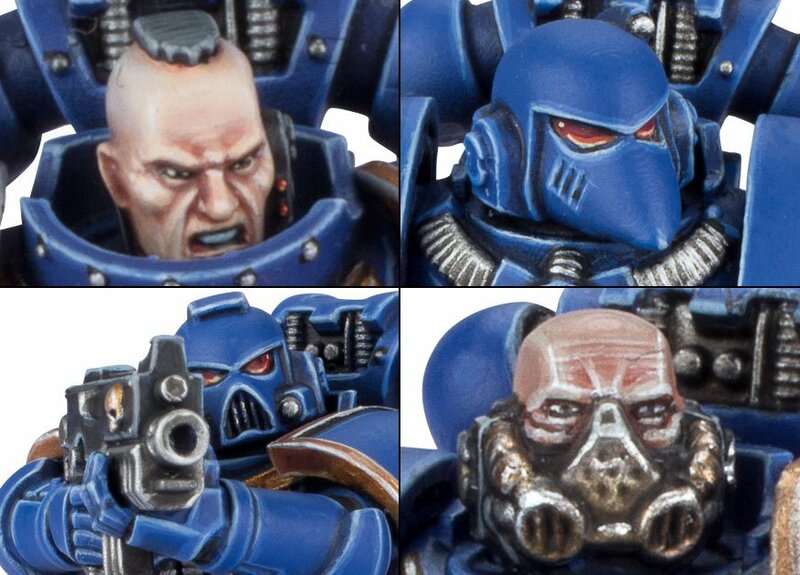 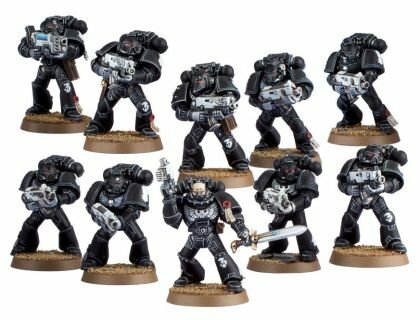 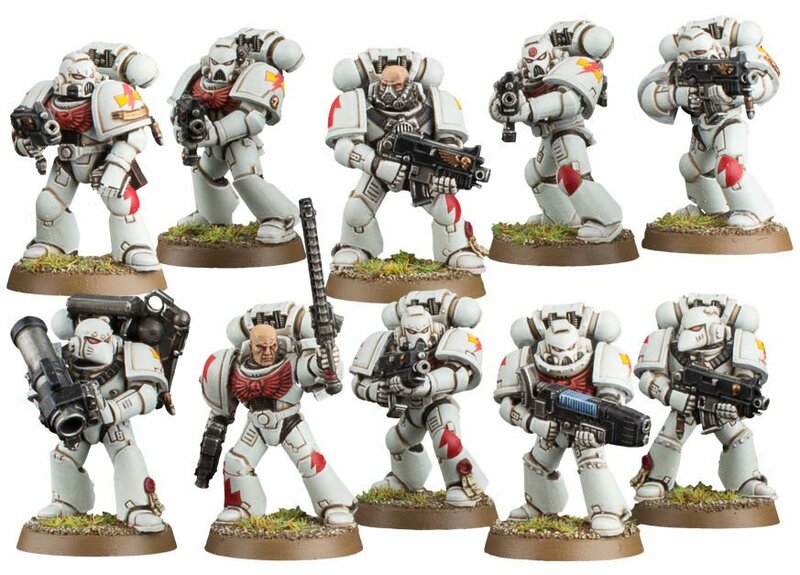 The squad can also be armed with a melta bomb, a selection of combat knives, and enough Frag and Krak grenades to arm each Space Marine. 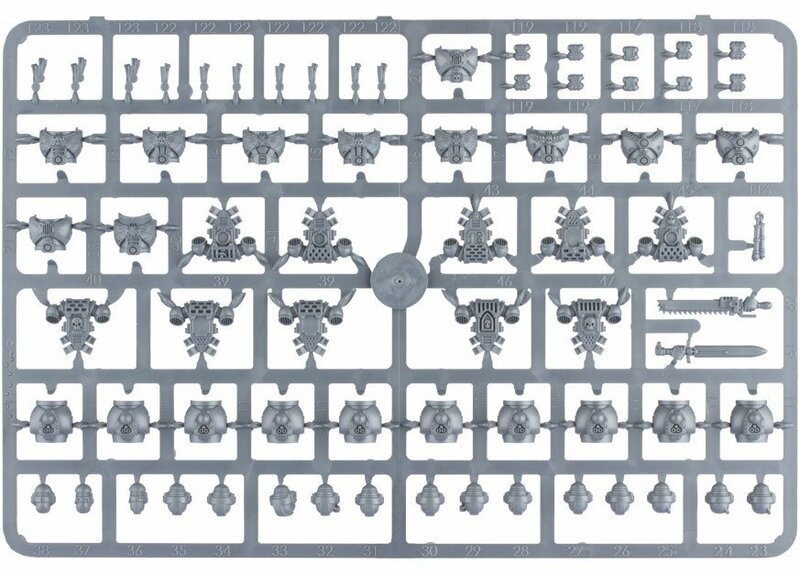 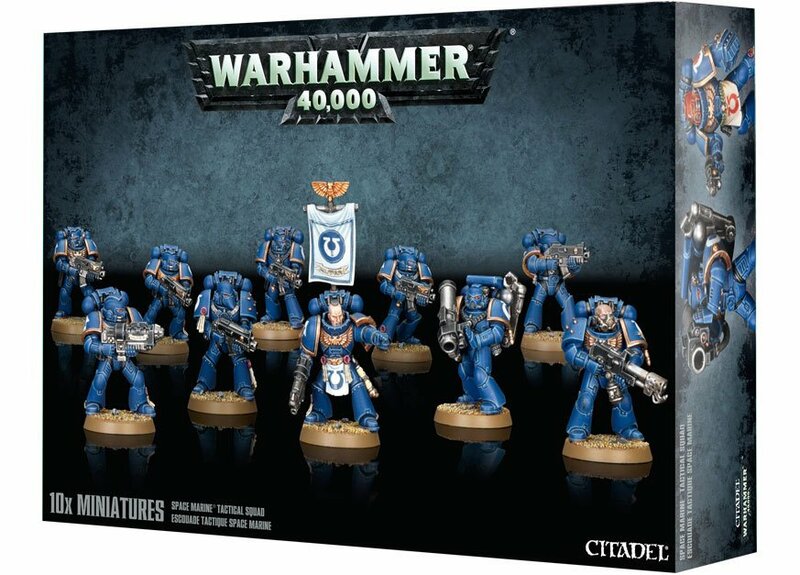 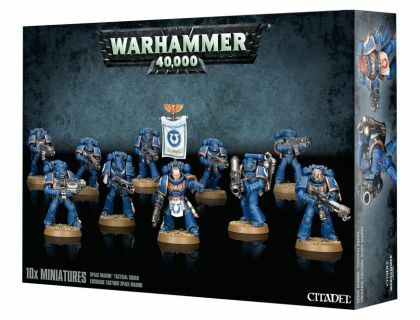 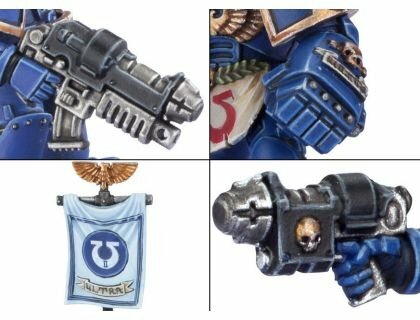 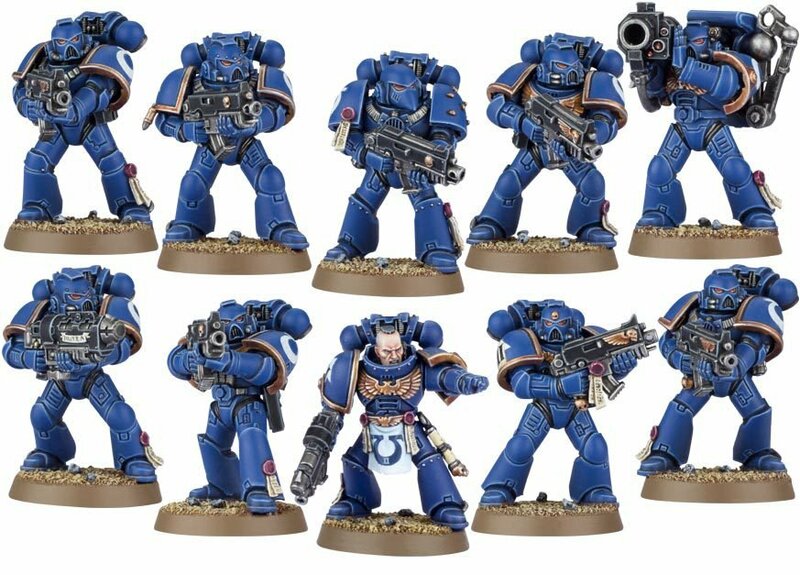 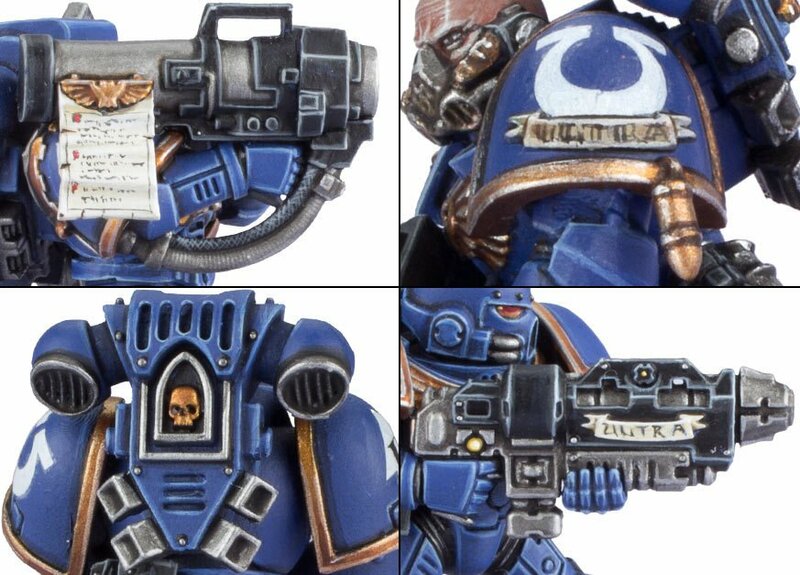 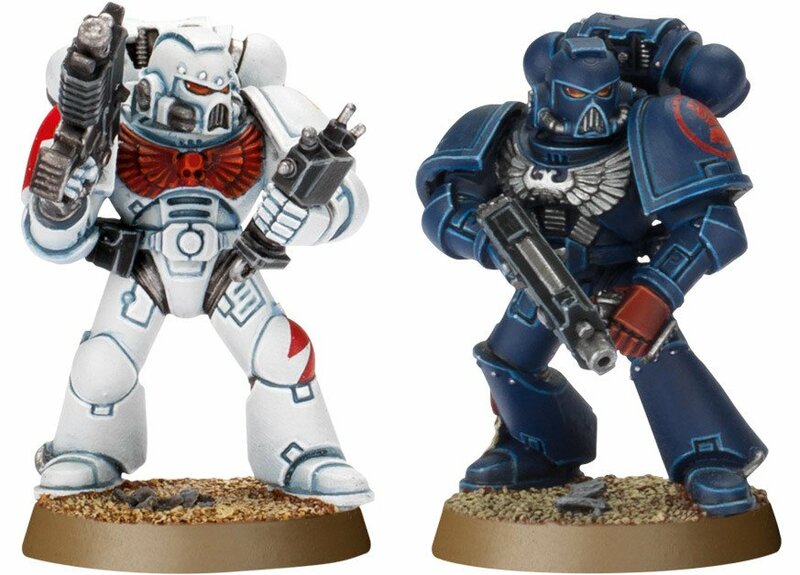 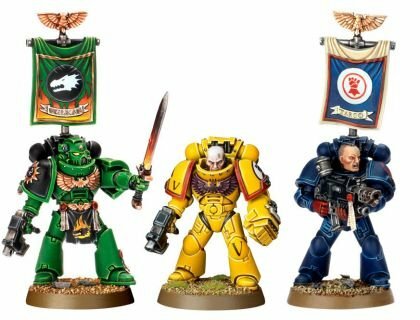 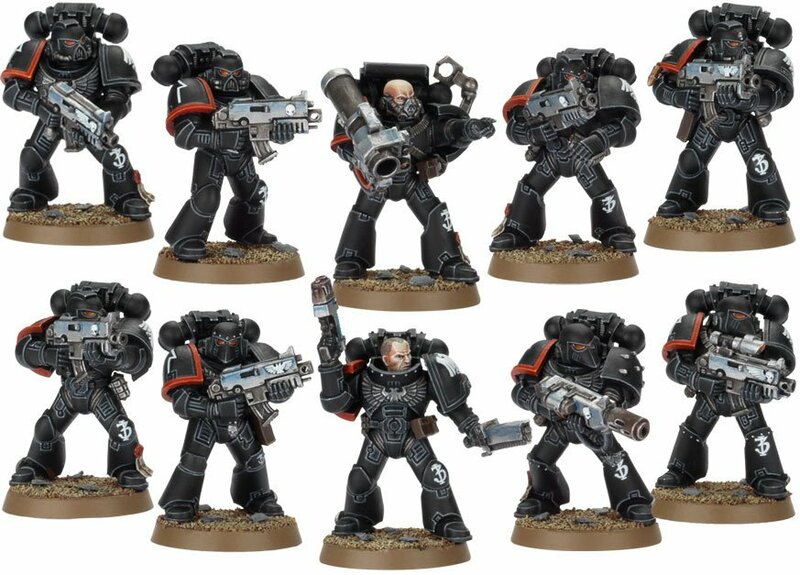 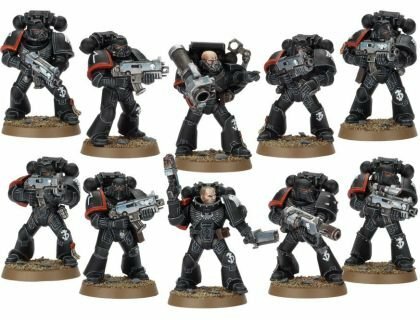 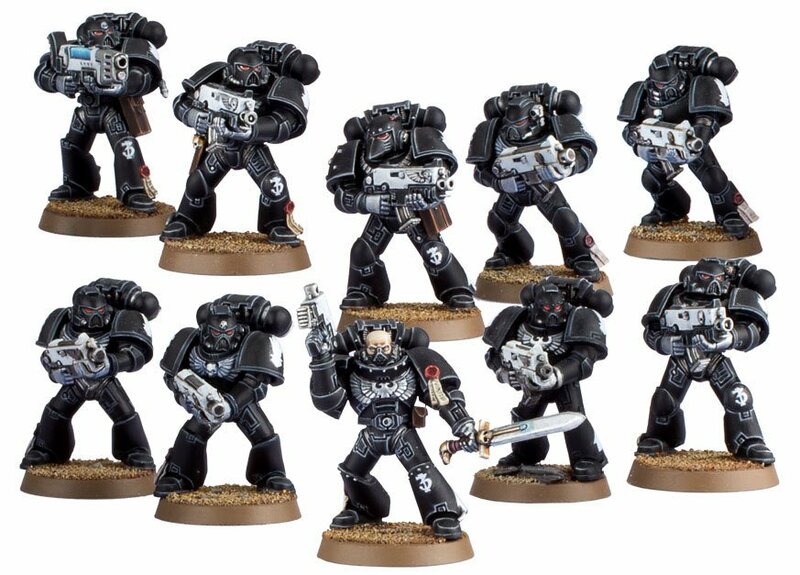 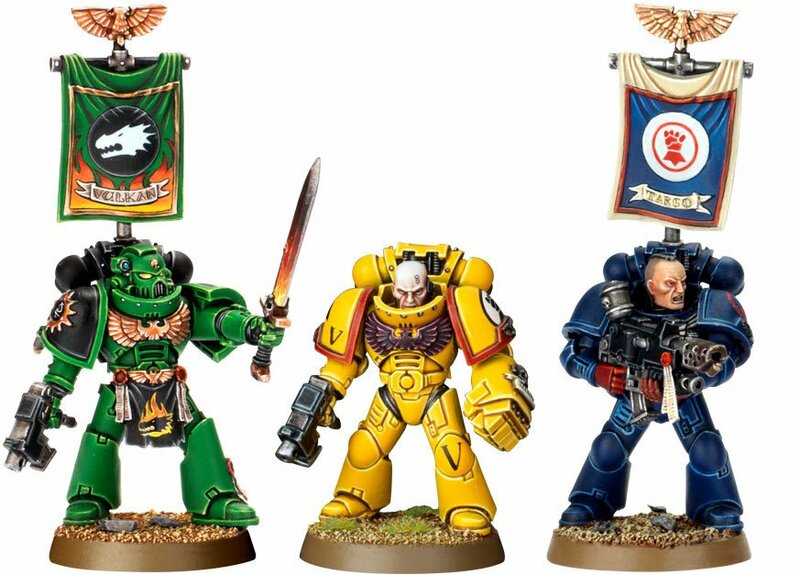 As if that wasn't enough, you also get: a back banner for the squad sergeant (with the choice of 3 different banner tops); a holstered bolt pistol; targeting scopes for the boltguns; parchments and purity seals; ammo pouches; an auspex; and 3 spare hands (1 pointing, 1 holding a grenade, and 1 holding a boltgun cartridge).